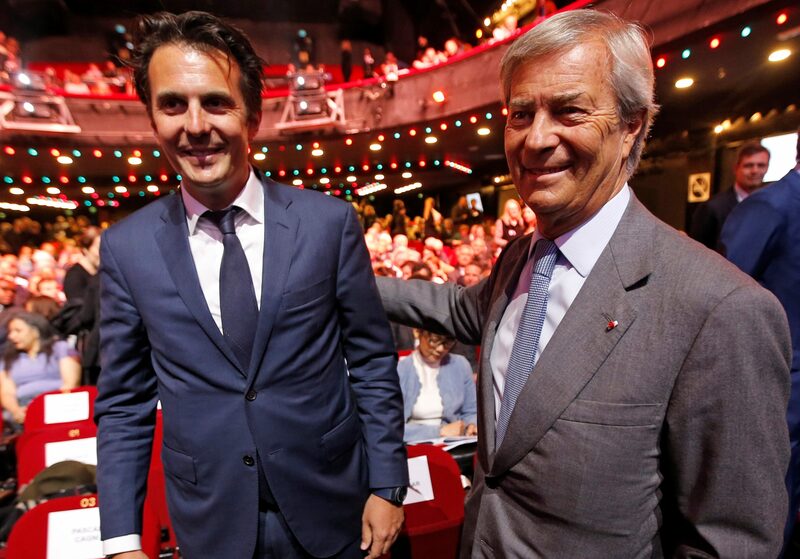 Vincent Bolloré stunned investors by abruptly handing the French media group’s chairmanship to his son. The 66-year-old Vivendi shareholder may well linger, muddying accountability for group strategy. Corporate governance issues are familiar, but this is still an eye-opener. Vivendi Chairman Vincent Bolloré said on April 19 that he was about to ask the company's supervisory board to appoint his son Yannick as the new chairman of the French media conglomerate. Bolloré, whose family conglomerate owns more than 20 percent of Vivendi's shares, has been chairman of the French media group since 2014. "It's time to make room for a younger generation," Bolloré, 66, told the audience at Vivendi's general meeting in Paris. Vivendi shortly after confirmed Yannick Bolloré’s appointment as chairman. "I'm not going to stay on for 50 years," said the billionaire, who promised to hand over his group's activities to his children on the bicentenary of his group in 2022. Yannick Bolloré, 38, already sits at the board of Vivendi and heads advertising group Havas, which was absorbed by Vivendi last year. His appointment will be proposed at a board meeting that will immediately follow Vivendi's shareholders meeting, Vincent Bolloré said. Vivendi shares were up 2.7 percent to 21.47 euros at 1200 GMT.